Summer is very much over, at least around our part of the world. Autumn is soon going to be winter and the indoor season is right on the doorstep. We kick it in by looking at all the right equipment to make you well prepared. Welcome inside. This time around we are not out in the fresh air, but we have moved indoors. It is time to take a look at all the equipment needed when you are looking to pack your bag for some indoor football. Indoor football is a proud tradition and absolutely one of the highlights of the winter. The pitch becomes a smaller court, the grass becomes a wooden floor, and the goals shrink quite a bit. Now it's time to prove that you have the technique and skill to prove yourself in this different environment. You have quite a number of options when it comes to deciding on an indoor shoe, and that is exactly what we are going to look at now. 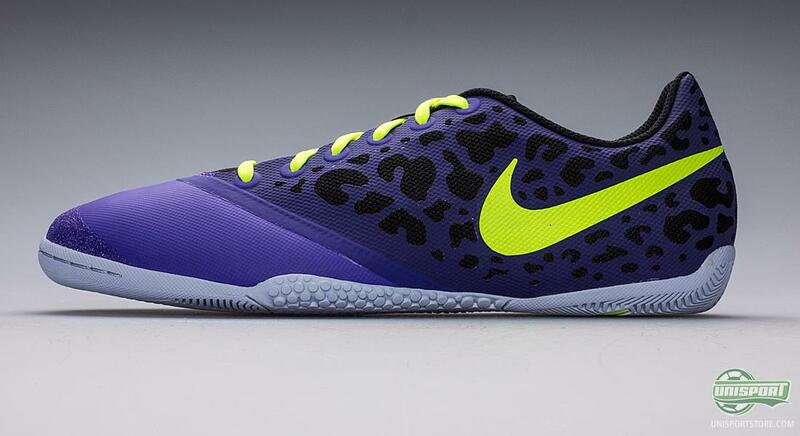 One of the markets most colourful and interesting shoes is this Nike Elastico Finale II with it's fresh purple and volt colourway that is a part of the Hi-Vis collection and will shine even stronger than the sharpest indoor spot lights. 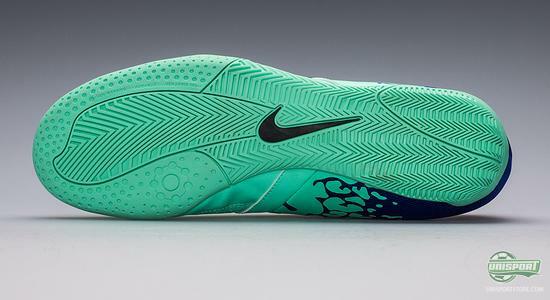 It is a shoe made to create the game and never lose control of the ball. The Elastico Finale comes with an upper made of NikeSkin, and the forefoot is made of 2 layers of PU cover that strengthens the entire area, and in the opposite end of the shoe around the heel you find a mesh area, which ensures that your feet are cooled optimally. The result is a shoe that will perform on the court, even when a match gets really hectic  you can count on this shoe. 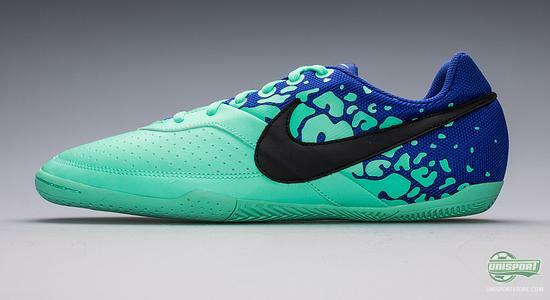 Would you like to get your hands on the Nike Elastico Finale II, then you can see much more right here  price 76. Indoor ball gives you the opportunity to really show off your cheeky skills and the small area play, where only the most technically skilled players can take part. And also the best shoes for that matter. A pair that can deliver is the Nike Elastico Finale Pro II, which have been specifically designed to dictate the play in the small areas and to technically advanced moves that no one else are able to show off. The shoe is created with a low nose and flexible forefoot to ensure that you can use your entire foot to show off your technical abilities. The sole is designed to provide extra grip to the surface, and provide you from slipping and sliding; and in addition there is a small area on the medial side of the foot that provides increased ball grip. All together, you get a shoe that is looking to show off your technicality and make the people around you look in awe. 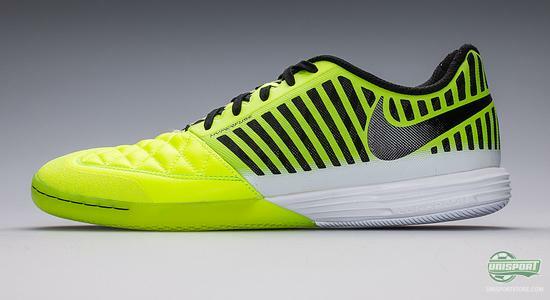 If you would like to stick your feet into the Nike Elastico Pro II, then you can see much more right here  price 60. Another option is this Nike Elastico II; which is priced lower, but is still ready to deliver if given the chance. Just like its brothers it is designed to creative play and to facilitate the technical and beautiful play. The upper is made of a synthetic material, where the forefoot has been strengthened in order to increase the lifetime and fight the natural wear and tear in that area. 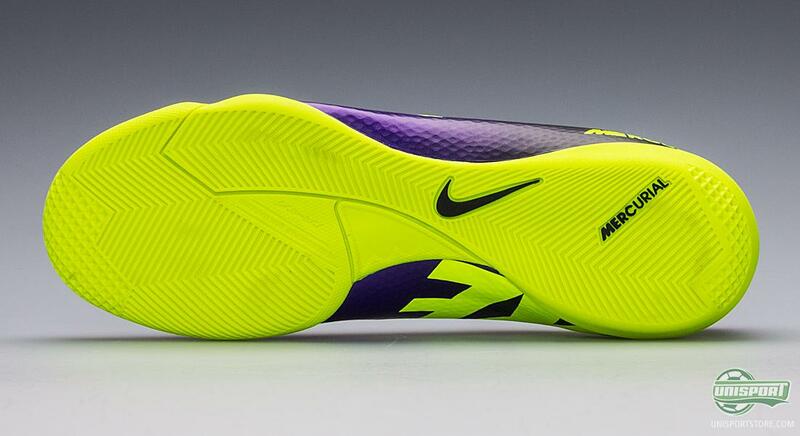 It makes the shoe last longer and in addition the shoe also focuses on ball fell and comfort. All together a super sharp shoe at a great price. Also in the Nike FC247-series you will find the super cool Nike Lunargato II, which may not be targeted directly at the indoor market, but still deserves a spot in this company. 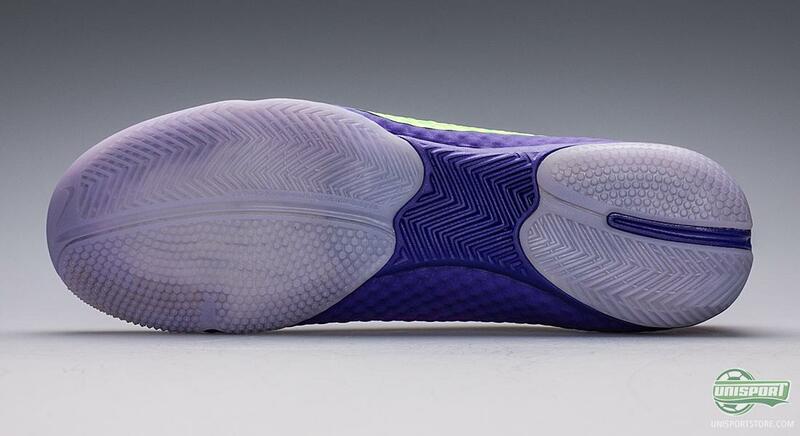 The Nike Lunargato is made to take control of the street courts, so if you find yourself out on the asphalt surface, this is the shoe that will deliver grip, touch and security. The shoe is made of ultra supple and soft goats leather, that provides great comfort. Furthermore, the forefoot has been enforced with the Nike Grind recycled material, that serves to protect against this vulnerable area and prepare the shoe for the challenges on the streets. Moreover, the lateral side is equipped with a dynamic mesh panel, that enables your foot to move naturally, ensures ventilation and supports your play on the street. 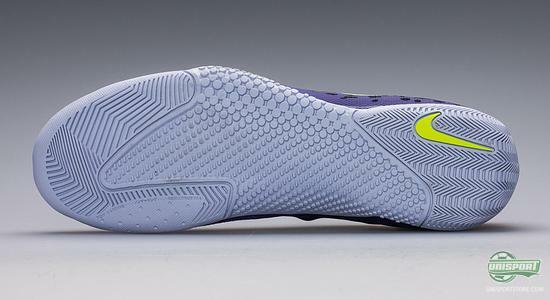 If you are liking the Nike Lunargato II, then you can see much more right here  price 71. 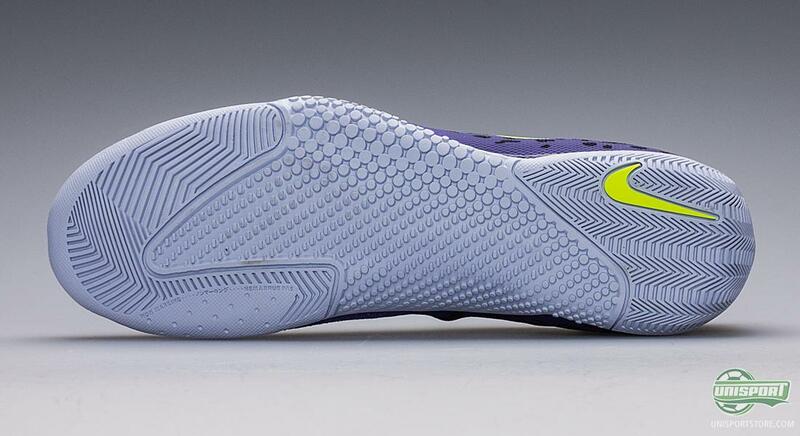 If you would like to transfer your style from the grass pitch and straight to the indoor court, then you may wanna look into the Nike Hypervenom Phelon IC. Nike have taken the deadly unpredictability and brought it indoors with this shoe that wants to, and can, challenge both yourself, your opponent, and the game itself. With the Hypervenom collection the freedom is handed to you and it's now up to yourself to take advantage and express yourself with great football play. The Hypervenom Phelon is made of a soft synthetic material that facilitates your ball feel through the snug, glove-like fit. It is made on the anatomical X1.1 last, which deliver a pointy nose, with a wide fit from the midfoot and on to the heel. It's a shoe that is not afraid to have the ball, and with the Hi-Vis colourway you are sure to be noticed. 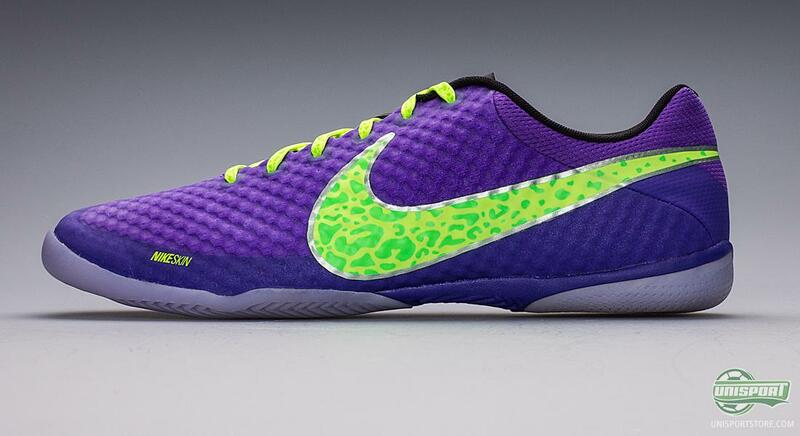 Are you liking the Nike Hypervenom Phelon IC, then you can see more right here  price 65. With the arrival of the Hypervenom we have seen a lot of Mercurial supporters make the change to the new silo. 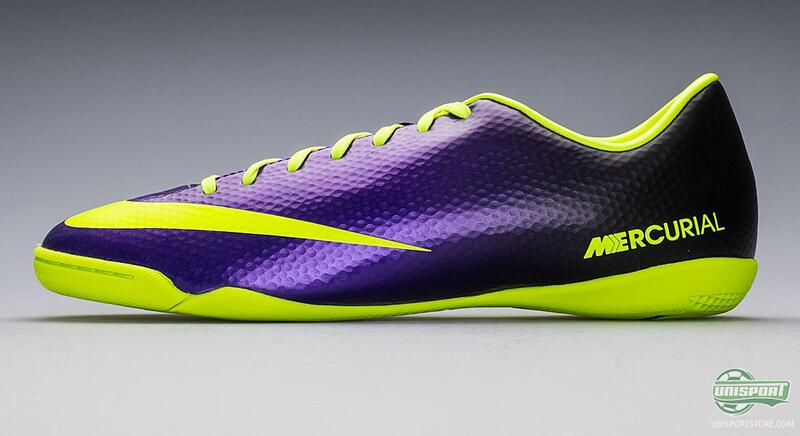 But others are still faithful to the ultimate speed, which is found in Nike's Mercurial series. 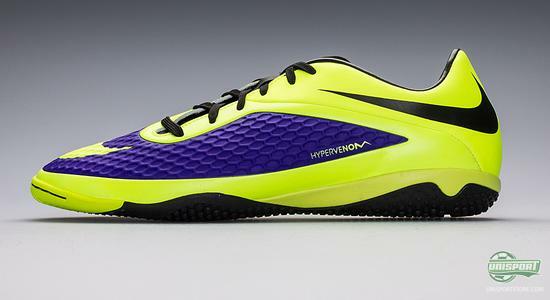 You can also bring the speed indoors with this Nike  Mercurial Victory IV IC, that is developed from the same successful formula as we know from the Vapor IX. 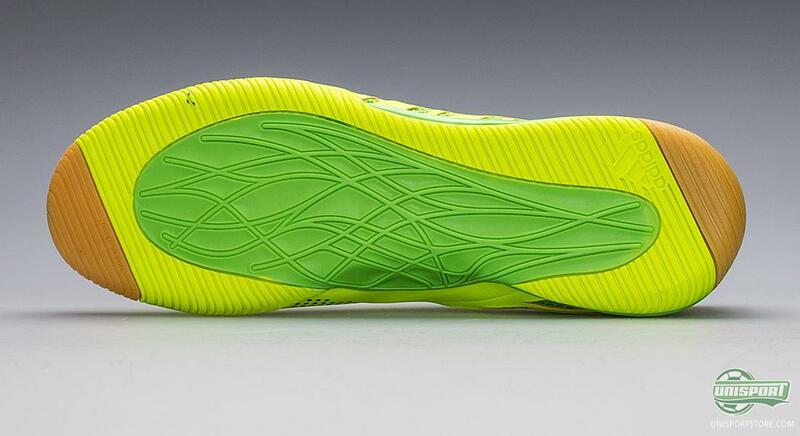 The sole is made of a strong TPU material, that provides good stability and facilitates your acceleration. It is not just on the grass pitch that a good kick-off to your acceleration is decisive for your speed, and if you are the kind of player who enjoys racing past your opponents, then why not also to this indoors in this Nike Mercurial Victory IX. Would you like to get your hands on the Nike Mercurial Victory IV IC, then you see more right here  price 60. If you say indoor, then you also have to say Adidas Spezial. They may not rhyme, but there is hardly an indoor game without the Adidas Spezial, which is the best selling indoor shoe worldwide. And that is not without a reason, as Adidas have managed to find a formula to deliver a shoe that could dictate the indoor courts ten years ago, still can today, and probably also will be able to into the future. 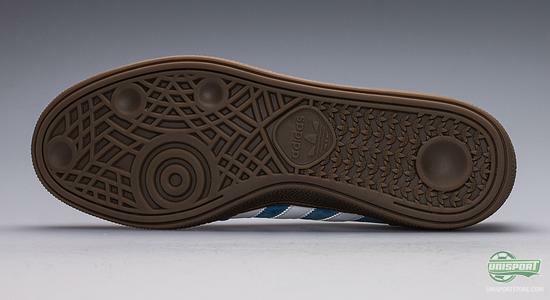 What makes the Adidas Spezial, so special, has got to be its comfort and touch. 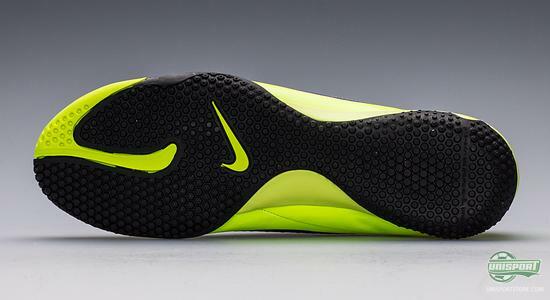 It has a suede upper that adapts to your foot and is also thin enough to give you natural close touch on the ball. In addition it makes the shoe super flexible and comfortable to wear. 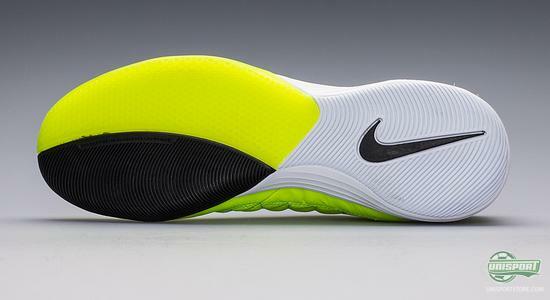 Moreover, the sole is made to provide the grip needed, even when doing quick twisting and turning. 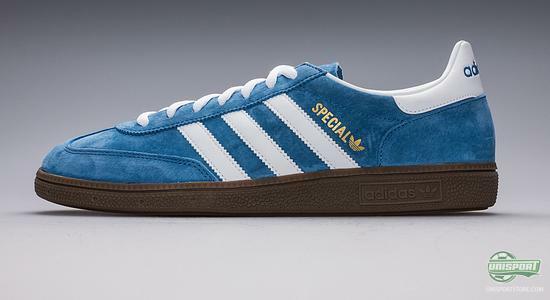 Are you liking the Adidas Spezial, then you can see more right here  prices from 43. Whereas the Adidas Spezial is for the more classic player, the Adidas  FreeFootball SpeedTrick is for the technically gifted, modern and fast player. On top of being a treat for the eye, it is also created to facilitate full control of the small area play and little technical details. It is a shoe that is looking for speed, but refuses to compromise control. The upper is made of a super flexible material that provides a sock-like fit while also being highly breathable, ventilating and light. 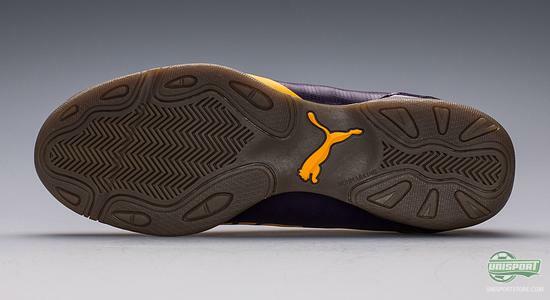 The midsole is shaped with the popular EVA foam that provides optimal comfort and shock absorption for your foot. Hereby you are sure to get a shoe that is great to wear, and will also help you do the stuff that is great to look at for the spectators who enjoy a good piece of skill. 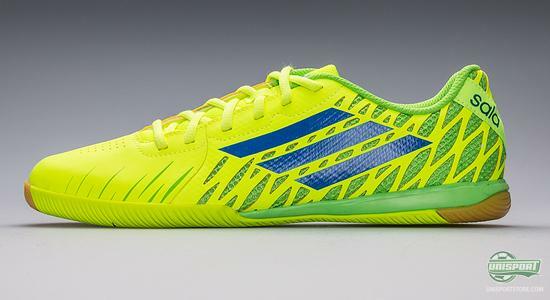 If you would like to stick your feet into the Adidas FreeFootball SpeedTrick, then you can see more right here  price 65. 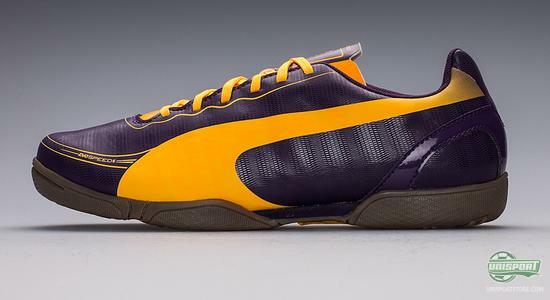 If you are not going for either Adidas or Nike, then you may wanna take a closer look at the Puma evoSPEED 5.2 IT. It should be rather noticeable with its sharp and beautiful design that looks just as good indoors as it does on the pitch outside, where we have already seen this colourway on the feet of Sergio Agüero and Olivier Giroud. With the Puma evoSPEED 5.2 you will get a shoe that is created for speed, and lots of it, and also developed to help you maintain a good grip, even on the wooden indoor surfaces. It is a shoe that not only looks good, but can also perform on the indoor courts. Special attention has been given to a good touch and a great fit. If you are liking the Puma evoSPEED 5.2 T, then you can see more right here  price 41. Whether you are playing outside or indoors, it is essential that you do not slip and slide around in your shoes. No matter how good your shoes are, if you are not able to get a proper grip and a stable stance, it doesn't matter. 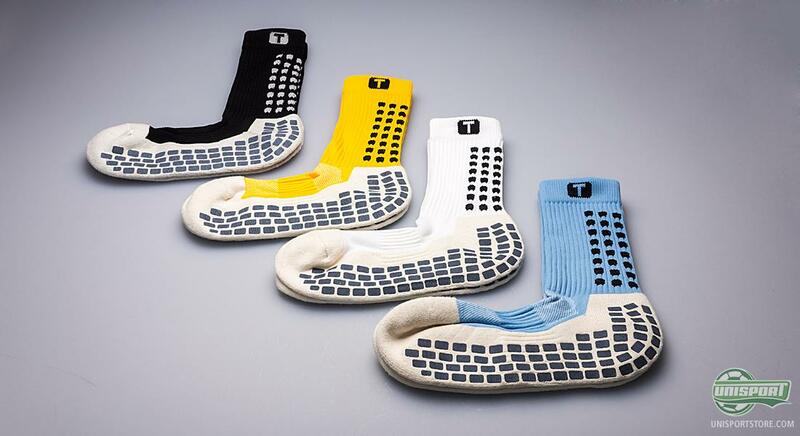 Therefore it is important, also indoors, to remember the brilliant Trusox, that come in a wide variety of colours. Trusox are created to put an end to some of the most permanent problems for footballers; slipping and sliding in the boots, resulting in blisters, and energy waste. Trusox are equipped with little non-slip pads, that improve the friction between foot and sock, as well as sock and boot. Hereby you can avoid slipping and sliding about in your boots, and will therefore be able to wave goodbye to the constantly annoying blisters. Are you looking to get your hands on the great Trusox, then you can see much more right here  price 32. With a pair of Trusox on your feet and a pair from the vast selection of all kinds of indoor shoes, you can be well prepared when the whistle blows for the start of the indoor season. 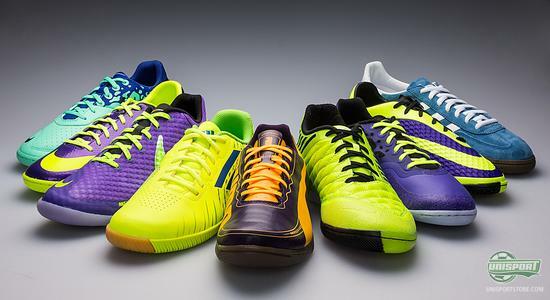 When the indoor season kicks-off it is important to have the right shoes at hand, and with this selection it should be possible to find the right match. What do you think of indoor football? And which shoe is your favourite? Feel free to share your comments either here, or on Facebook and Twitter.